SUPER SALES & HOT DEALS GOING ON RIGHT NOW! Find deals & steals, the hottest sales on the web to help you save on your crochet, knitting or looming needs! Learn to Crochet and / or Knit via Video classes & ebooks at Leisure Arts! 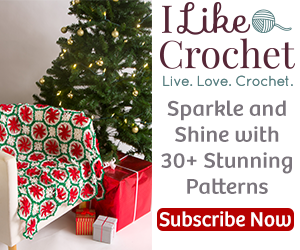 Free Patterns, a Free ebook with your free subscription. Make sure you check out their Warehouse Clearance Sale going on now with up to 60% off HOT items!